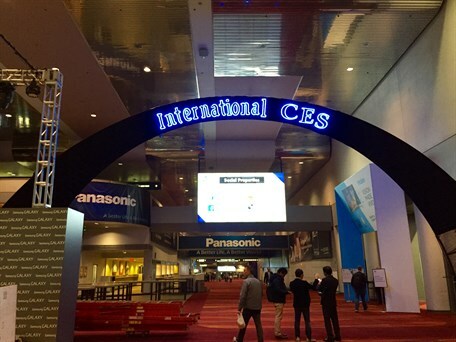 From driverless cars and lifelike robots to drones and virtual reality, it’s no secret why CES is the innovation oasis for all things technology. 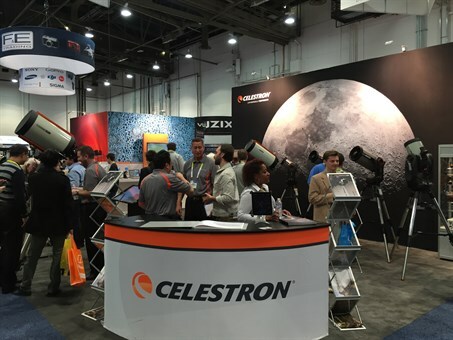 This year, with one of the largest attendance records to date, the International Consumer Electronics Show provided the perfect backdrop for Celestron’s latest product launch. 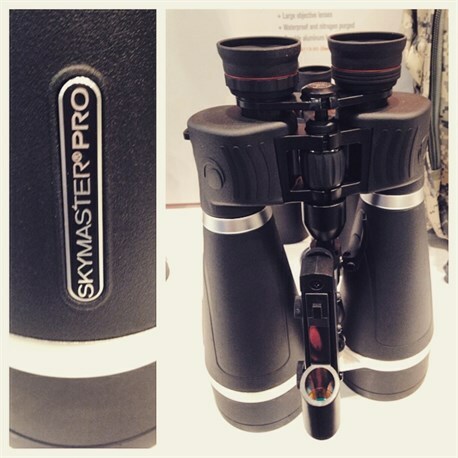 We were thrilled to unveil our new SkyMaster Pro binocular series, an expansion on the award-winning SkyMaster series. SkyMaster Pro comes complete with an integrated rail for attaching a red dot finderscope, waterproof construction, fully multi-coated lenses, and threads that accept optional eyepiece filters to enhance the view of the Moon and other celestial objects. Both the 15x70 and 20x80 models are available for preorder at Celestron.com and will begin shipping in the coming months. 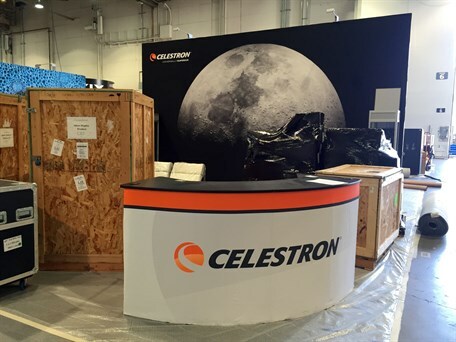 Celestron fans are already familiar with our Nexstar Evolution telescopes, launched last April, but this was our first time demonstrating them at CES. Our visitors throughout the week loved the wireless capabilities of the line and couldn’t help but to be captivated by our “synchronized slewing” demonstration. 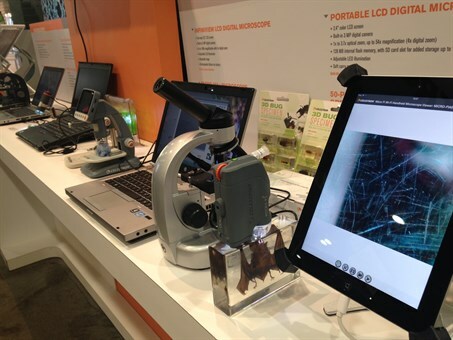 We also debuted the latest addition to our digital microscope lineup to CES-goers. The FlipView Handheld Digital Microscope hosts an integrated 3-inch full color TFT LCD screen that flips out and rotates 270 degrees. The versatile ergonomic design can be used in three ways: handheld, on a flat surface with flip out leg, or with the included metal stand and ¼-20" connection. The FlipView comes with a rechargeable lithium ion battery and has a magnification level of up to 120x. This microscope is perfect for classrooms, outdoor exploration, and for use around the house. 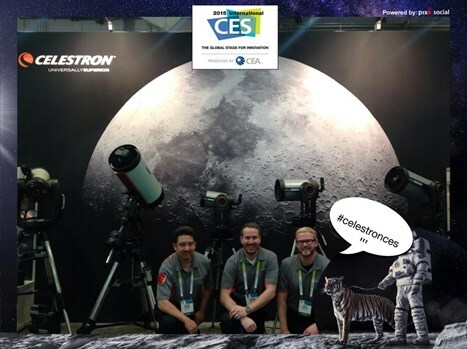 Throughout the week we had the opportunity to share our stories and products with outlets like CNBC, Tech Podcast News, BBC World News, and more.Amidst highlighting our newest products, many of our conversations led us to our SkyPortal mobile app that allows you to control compatible telescopes via a smartphone or tablet. With SkyPortal in compass mode, the user holds their device up to the sky and selects an object to view and the telescope slews toward the object, centering it in the eyepiece. This innovative technology opens the world of astronomy to users that may not be as familiar with the night sky and expands the enjoyment of sky viewing. Catch a glimpse of our week through the images below. We can’t wait to be back in 2016!